Tenerife holidays are most known for relaxing by the sea and enjoying the warm weather, but this Canary Island has much more to offer than sandy beaches and sunshine. It is a little known fact that this Spanish island boasts two World Heritage Sites as well as a National Park, making it a fascinating place to explore and learn about. Tenerife holidays are so much more than lounging by the pool, as more and more holidaymakers are discovering. Tenerife is home to many natural gems, including a volcano which is the highest peak in Spain. Tenerife holidays also offer fantastic shopping experiences, as well as museums and theme parks. There really is something for everyone. A boat trip is an excellent idea while visiting the island of Tenerife, as the waters between here and La Gomera are one of the few sites in the world where you are almost guaranteed to make a sighting of a pilot whale or bottle nosed dolphin in their natural habitat. Alternatively, for a more up close and personal experience with dolphins, book onto one of the dolphin encounters at the AquaPark where you can swim with the beautiful creatures and have your photos taken. The Botanical Gardens are one of Spain’s oldest botanical gardens, and home to over 3000 species of the most rare and unusual trees and plants. Be sure to take your camera because here in this jungle-like environment you will find flowers and plants that make you question your own eyes. Siam Park is a water park not to be missed. With fun for the whole family, this man-made attraction was proudly named as one of the top ten water parks in the world. The park is Thai-themed and features some terrifying-looking rides and slides which will satisfy the thrill seekers in your family. A powerful wave pool which operates throughout the day is a favourite for all ages. The park features it’s own white and sandy beach for members of the family who would rather sun-bathe on the sidelines, and a miniature water park is also available which is great for the smaller children and babies to enjoy. Teide National Park is one of Spain’s most popular national parks, and is a must-visit site for all Tenerife holidays. 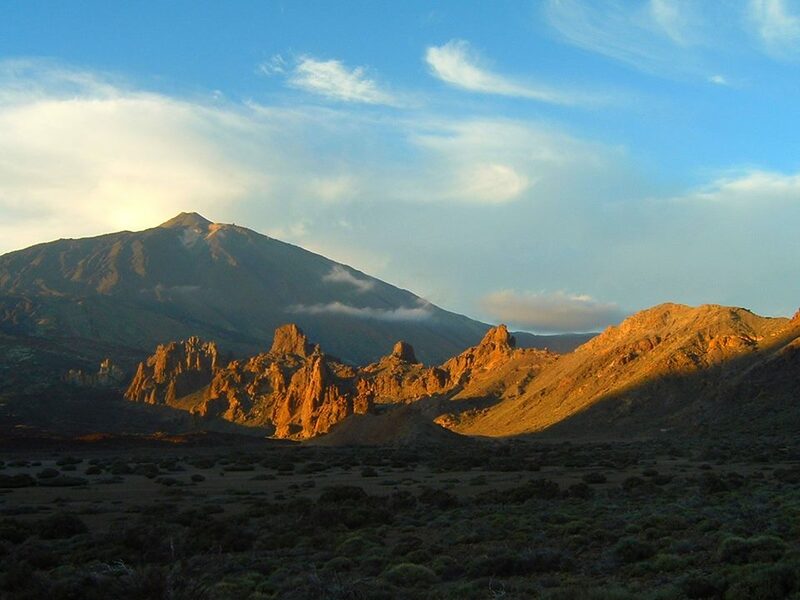 The park is home to the third largest volcano in the world, Mount Teide, which can be reached via cable car. The often scary ride in the cable car is well worth overcoming the nerves for, as the view from the top is spectacular. The cliffs of Los Gigantes are an impressive natural attraction which drop vertically into the Atlantic Ocean for an enormous 1600ft. The cliffs are a breathtaking and stomach-turning sight, which can be enjoyed safely from one of the many bars or cafes lining the quayside. For a closer view, take a boat trip out to them and watch in awe as you sail past the stunning sheet of stone.